The closest you can get to flying! Bukit Penarikan is an area well known for the extreme sport of paragliding, where you can fly like a bird with the help of a paraglider! What to expect? Paragliding has been around for a long time but only seriously gained attraction in Malaysia around 1995, slowly increasing its number of participants in this extreme sport. Bukit Penarikan is a well known spot by locals keen on paragliding. It is located in Bahau town, just 2 hours away from Kuala Lumpur and paragliding can be done here throughout the year, except during monsoon. Paragliding is the art of using a paraglider to fly in the air just like a bird. You are launched by your foot and with the help of an inflatable wing, you can fly up to 4000 kilometres and even above 6000ft in some cases. It is an exhilarating feeling, especially for a first timer as they soar through the air while suspended only by a safety harness. Many operators such as OXBOLD Extreme Sports offer packages in groups of 4 or more (jumping off a cliff alone isn’t any fun!) to paraglide from Bukit Penarikan. The warm atmosphere coupled with cool winds and a stunning countryside view filled with green and kampung houses is an experience to remember. Plenty of water for your consumption. Straps for glasses or goggles in case of contact lenses. Theory class on the ground before embarking on the activity. Variometer, GPS and radio communications devices. There will be a safety briefing conducted on land before you take off in your paraglider. Pay close attention to the briefing as you’ll learn about emergency procedures and landing sites. Check all your gears and make sure it is secure before you jump. Offer to check a friend’s and let them check yours as well. If you feel something is not right, check with your operator. If you’re a little nervous about paragliding for the first time, you can sign up for a tandem course where the instructor follows you in the paraglider. Check if your operator includes transportation to and from the takeoff point. It uses a long and old road that requires a 4WD vehicle. Most tour operators only take customers for paragliding in a group of minimum 4 persons while some might consider accepting a group of 2. Try and go with a few of your friends or colleagues. Try your luck and negotiate the price for your paragliding trip if you’re coming in groups! If you are in Negeri Sembilan for this activity, you can also stay in the nearby towns such as Seremban or Kuala Pilah for a more traditional Malay culture experience. 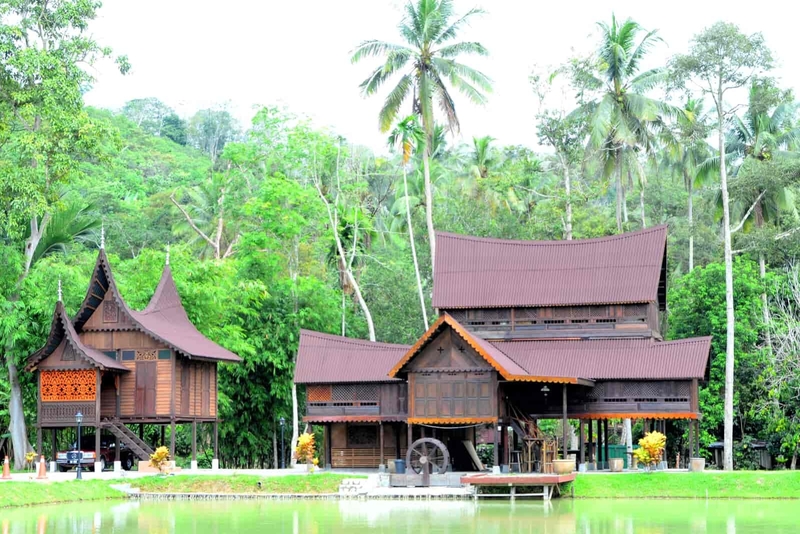 Although it’s just an hour away, Negeri Sembilan gives a different vibe than the lively city of Kuala Lumpur. There are no reviews on Paragliding in Bukit Penarikan. If you’ve been here before, write a review to share your experience.